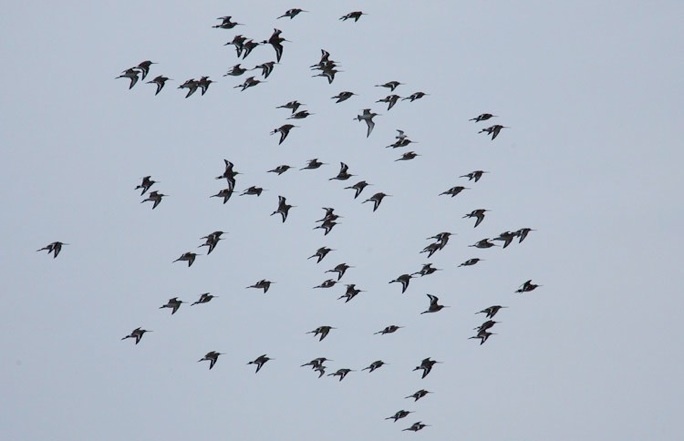 2011 has been one of the best years in memory to see American Waders in Britain. 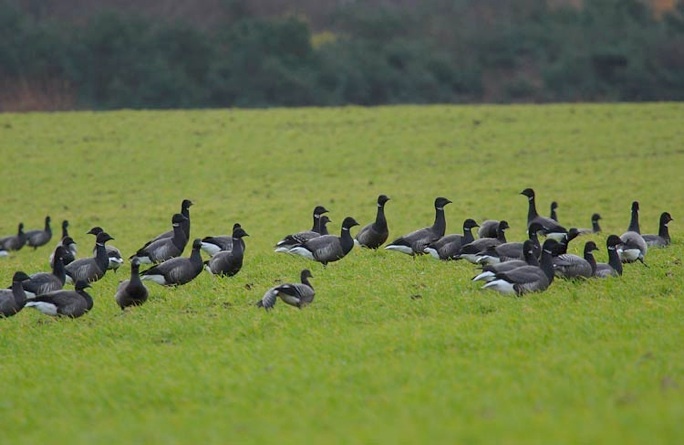 At least 17 species had been seen up to 28th November. The only species not found at this time was Western Sandpiper. So it was inevitable that one would be discovered somewhere!. 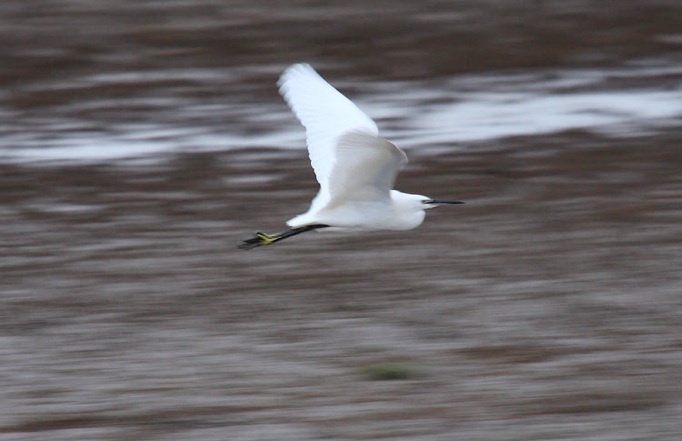 Cley NWT Reserve was to be the host site for this rare wader. It was first identified as a Semi-palmated Sandpiper but as the bird was eventually seen and videoed at close range, the finer points of the bird’s plumage could be seen and it was eventually re-identified as a 1st winter Western Sandpiper. Having seen the bird to-day (and only 1 previous bird some years ago), I could appreciate why it proved to be a tricky bird to ID. It was very flighty and a Peregrine hunting over the marsh didn’t do anyone any favours. Eventually, reasonable views were obtained and the extent of rufous on the scapulars could be seen. Clean white underparts and grey tones to the mantle, some rusty tones to the feathering on the crown and a longish bill were also pointers. 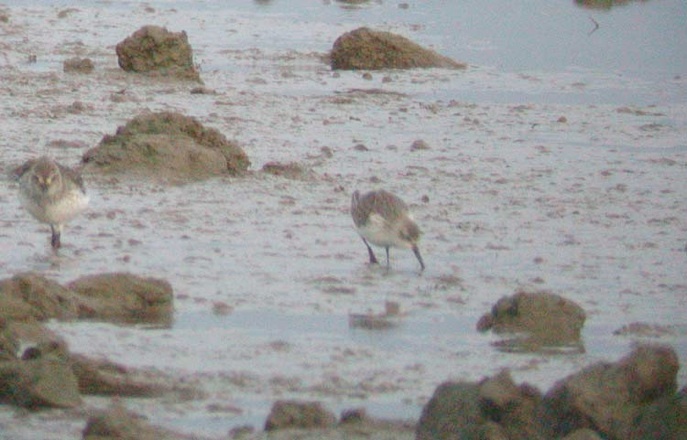 It was very much like a diminutive Dunlin, rather than Stint like. A drake Green-winged Teal was also on view on Pat’s Pool at Cley, mixed in with the large flock of Common Teal. At Holkham we managed to find a juvenile Rough-legged Buzzard along with a Common Buzzard, a male Sparrowhawk and a Marsh Harrier . Nice comparisons. 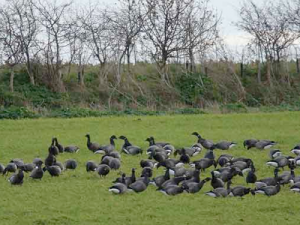 Also 50+ White-fronted Geese and many Pink-footed Geese in the area. We finished off the day at Titchwell with a variety of waders and dabbling duck on the fresh marsh. Several Spotted Redshank; many Little Egret, a Spoonbill and a female Red-breasted Merganser were all of note. At sea several Gannet, small numbers of Razorbill, 2 Red-breasted Merganser, several flocks of Bar-tailed Godwit & good numbers Brent Geese were continuously on the move. 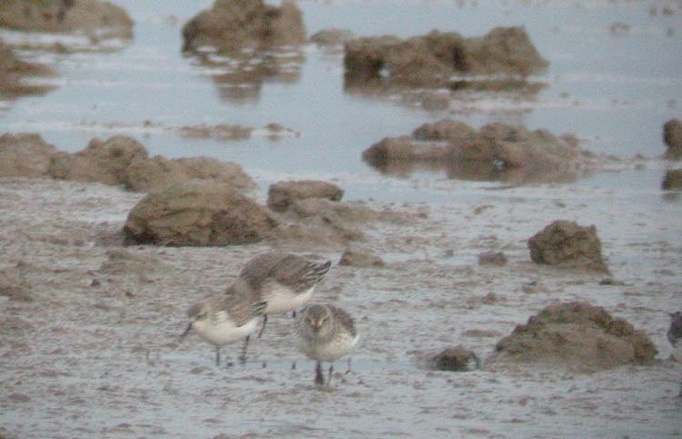 IMAGES – first 2 – digiscoped – 1st winter Western Sandpiper with Dunlin: Brent Geese; Little Egret; Black-tailed Godwit at Cley NWT Reserve.